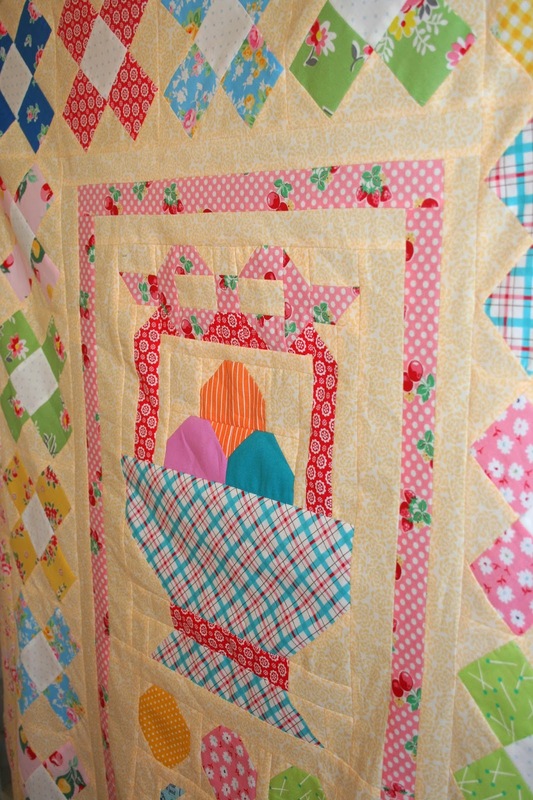 I had so much fun putting this quilt together. I can't remember the last time I enjoyed sewing this much. Lori's patterns are so fun to make, clear to understand and I always learn a better way of piecing with each quilt pattern from Lori I make. The only trouble I had on this quilt was choosing a border fabric. I ripped out two different choices before deciding on this one. 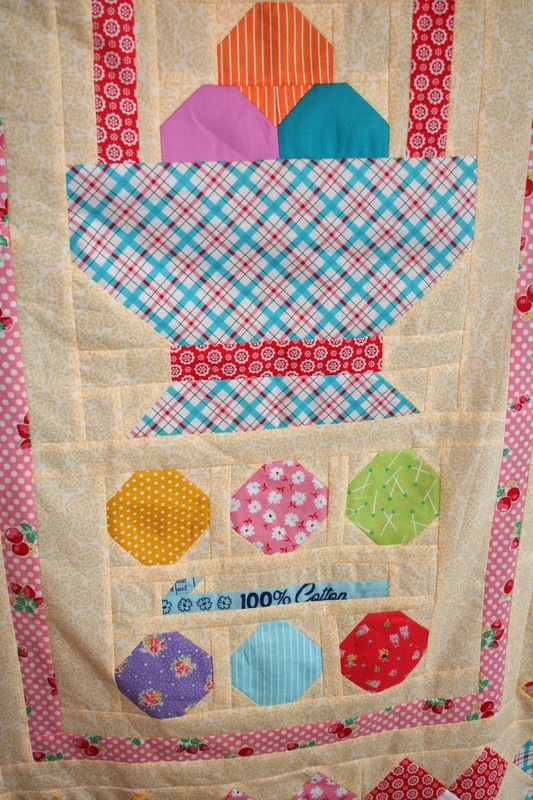 The blocks are very colorful and I needed a border that wouldn't compete with the other fabrics. 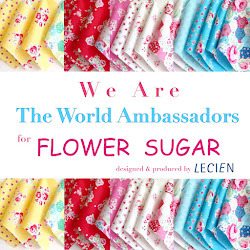 I had this Lecien Flower Sugar in my stash which I had eyed before using something else. I need to follow my instincts. 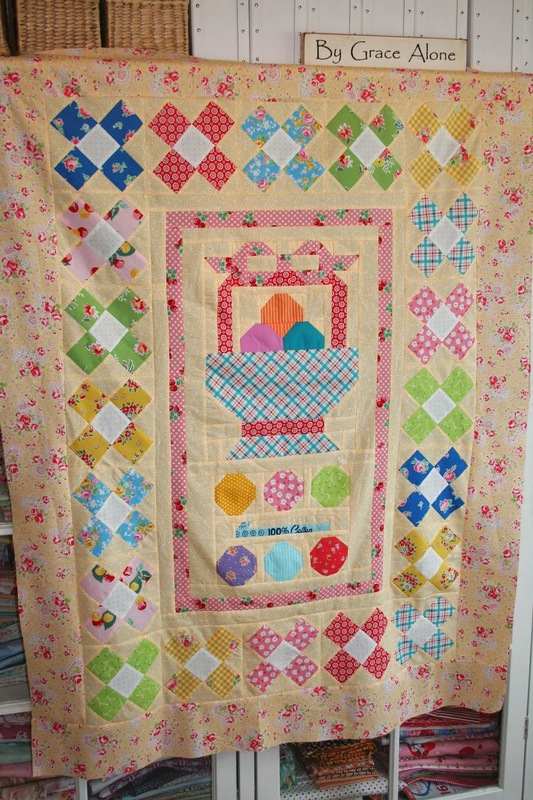 Lori is going to start another quilt along soon, so be sure to check out her wonderful blog! 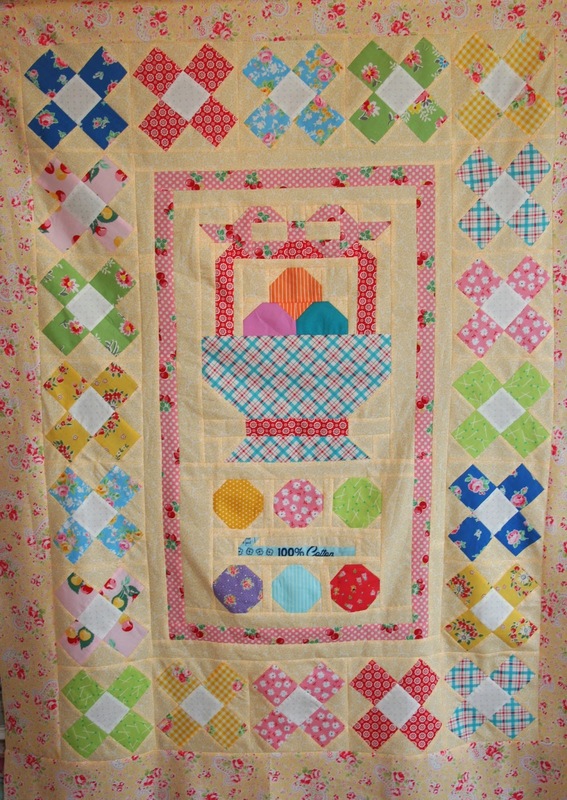 The quilt is a delight to look at, the colours are adorable together. Your quilt is lovely, Renee. It's beautiful! You chose the perfect border print. And how exciting that Lori has another sew along coming soon! I already bought the pattern. I love your top, it looks great! That border is perfect! Wow was that fast! 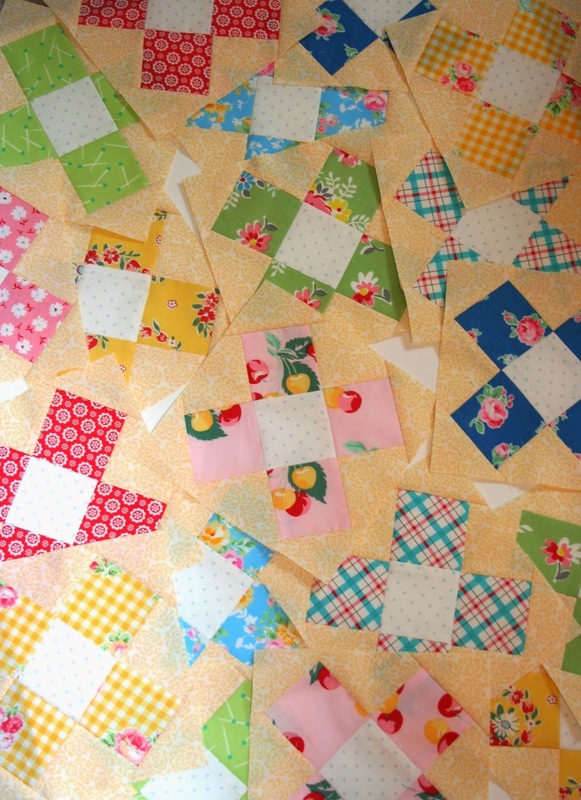 I still haven't finished my Quilty Fun yet. This looks great! Darling! I love the colors and you did a great job! I did this QAL too! I ran into the same problem on trying to pick out the border. I almost used a Lecien print too, but I used several in my blocks and borders and didn't have enough of the right color. I used a darker teal mirror polka dot to match the teal Lecien prints. I ended up loving this combo! I love yours in yellow, I really need some yellow prints. Your quilt top turned out beautifully. I completed the center block, lost my book, found it and have not had time to get back to it. I want to get back to mine right away, you have inspired me.